Accounting House Hamilton is dedicated to providing a professional, affordable and efficient accounting service. 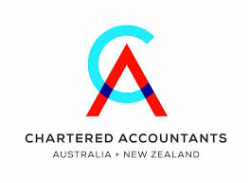 We are Chartered Accountants who look after small to medium size businesses including farmers, rental property owners, contractors and individuals. We are a tax agency with the Inland Revenue Department. This means as a client you have extension of time to file your tax returns and an additional two months to pay any taxes due at year end. We take care of all aspects of accounting including discussing the best structure for your business, preparation of periodic or annual financial statements and income tax returns, GST, FBT, budgeting and goal setting, tax planning, book keeping procedures and all IRD related issues. Accounting House Hamilton is operated from home, thus reducing costly overheads without service or technical skill being compromised. We pride ourselves on delivering a high standard of work and consider communication key to a great client relationship. We would be keen to meet and discuss any future accounting needs you may have.